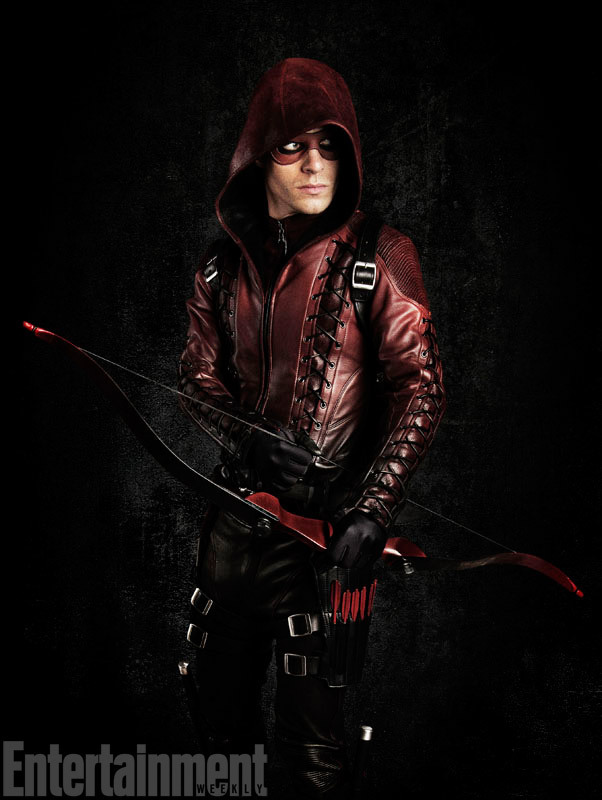 Today Entertainment Weekly exclusively revealed the first look at Colton Haynes in his full new Arsenal costume that he’s going to be wearing for season 3! You can check out the image below. I think the costume looks really cool, and is a nice compliment to the costume Oliver wears. It should be cool to see both Oliver and Roy fighting crime in full costume next season! I would have liked to have seen a transition from Red Arrow to Arsenal as their relationship deteriorated like in the Young Justice series, or when he loses an arm. Oh well. Pretty cool. Doesn’t mean that they can’t still do that. In fact, I predict that it will happen. It’s a TV show, so there’s gotta be drama and fallings-out. They’re just showing that time has passed and that Roy has grauated to full-on hero in that time.